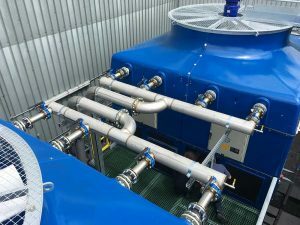 Vistech are committed to providing the best solution to meet your cooling requirements and have a long history in designing and implementing technical cooling systems. Our team of technical analysts can take specific measurements from your cooling system using our own measuring instruments and provide in depth analysis and reports to work alongside you in solving current performance issues or designing new systems. Please contact us to discuss your own requirements and to ask for a quotation.